The good news and bad news for lenders and the auto sales marketplace. An unprecedented seven-year streak of annual U.S. auto sales growth finally came to an end, yet carmakers and their investors aren’t fazed. Automakers capped their first year of shrinking industrywide deliveries since the recession with Wall Street bidding up their shares. Plenty of signs point to another healthy — albeit softening — U.S. market in 2018. Here are some of the reasons why — falling sales and all — carmakers aren’t sounding alarm bells just yet. While total light-vehicle sales slipped in 2017, several automakers curbed lower-margin deliveries of car models to rental companies that tend to be heavily discounted. Meanwhile, lucrative full-size pickups remained the top-selling models last year as Detroit automakers continue to cultivate loyal customers. Ford Motor Co.’s F-Series was the top-selling vehicle line in America for the 36th consecutive year. With each truck selling at an average price of $47,800, Ford and its pickup-heavy peers are raking in profit even as car sales slump. Trucks aren’t the only money makers flying off dealer lots. American families are increasingly trading in their sedans for the new chosen family hauler — crossover sport utility vehicles. SUVs that are built like cars provide the storage and higher seating position of their truck-based brethren, but more sedan-like handling and fuel economy. They also sell at higher price points, meaning more good news for companies’ bottom lines. Toyota Motor Corp.’s Camry sedan — a plain-vanilla icon that extended its reign as the top-selling car to 16 straight years — was surpassed by the Japanese automaker’s RAV4 crossover last year for the first time. Light trucks, which include both pickups and SUVs, accounted for 63% of the market, up from 59.5% in 2016, according to Autodata. While the U.S. auto market is projected to shrink again in 2018 by about half a million vehicles, luxury-vehicle sales may hold their own or even grow a little. “We anticipate the luxury market will be flat or slightly up,” Scott Keogh, Audi’s U.S. chief executive officer, said on a conference call. Growth of 1% or 2% is possible in part because tax cuts have bolstered consumer confidence and boosted the stock market, he said. Many high earners will see lower U.S. tax rates, but eliminating the deduction for state and local taxes could stunt demand in some key luxury-vehicle markets, such as New York and California, said Joe Eberhardt, CEO of Jaguar Land Rover North America. “Clearly there’s a positive impact on the corporate side as it relates to individuals and to our core target audience,” he said. “Depending on which states you are based and live in, it may be a tax increase as opposed to relief, so too soon to tell” what that means for net luxury sales, he said. The Federal Reserve raised interest rates last year and plans to do so again in 2018, likely crimping car sales on the margins. Still, lending rates remain at low levels compared with 2000 and 2001, the only other period that annual U.S. sales topped 17 million, according to Ivan Drury, senior analyst with car-shopping website Edmunds. AlixPartners estimates the average car payment is $460 a month now and would rise to $560 by year end if interest rates rise by 1 point over the year, Wakefield said. Automakers may have the ability to counteract that with more incentives. Automakers are also coming into 2018 with fewer concerns about inventory. 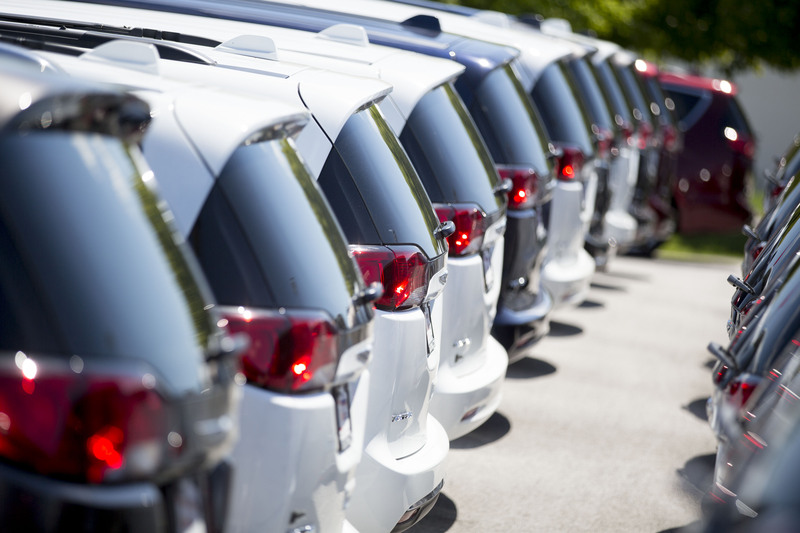 A year ago, there were record numbers of cars and trucks on dealers’ lots and companies were facing tough choices between production cuts and heavy discounting. Now, it’s more manageable — closer to a 70-day supply of vehicles — and two-thirds of them are light trucks, in line with consumer preferences, said Brandon Mason, automotive director and U.S. mobility leader for PwC. “The only thing that really brought that down was the recovery volume from Harvey and Irma,” he said, referring to the hurricanes that struck Texas and Florida in 2017, damaging as many as a million vehicles.